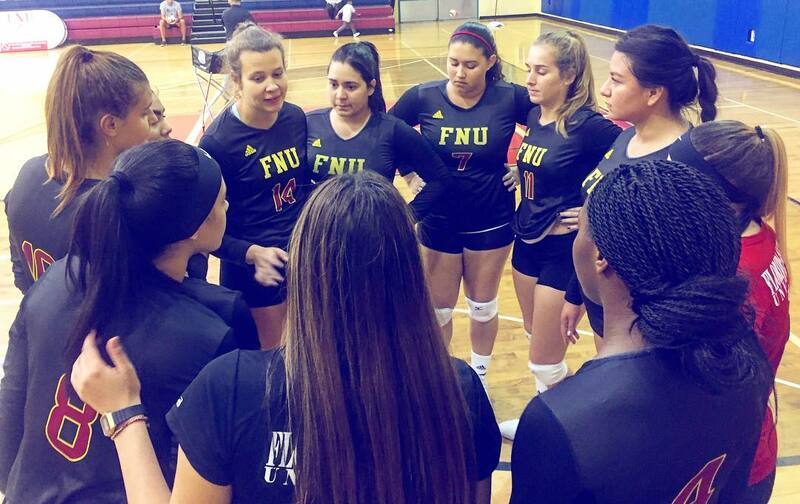 Hialeah, FL – Florida National women’s volleyball team lost against College of Coastal Georgia 3-1 last Friday night for the home opener for the Lady Conquistadors at Bucky Dent. Lady Conquistadors won the opening set 28-26 fighting until the end to win with excellent performance. In a great battle to take second set Lady Conquistadors left behind the chance to put themselves up in score by 2, instead, Coastal of Georgia team tied the game-winning this set as a capstone to win the following two sets. The visitors did a good job taking easily away the third set from lady conquistadors 25-13. The 4th set Lady Conquistadors couldn’t react and lost it 25-19. Lady Conquistadors faces Keiser University tomorrow at 5 pm in the second home game at Bucky Dent gym. Ruy Castelo Branco – Florida National University – Sports Information Director.